A highly entertaining quarter-final contest between world no. 1 Rafael Nadal and Ernests Gulbis takes place tomorrow afternoon at the Qatar ExxonMobil Open. The two have met on six previous occasions, with Nadal leading the FedEx Head2Head series with a perfect 6-0. The Spaniard suffered his first scare of the season earlier today when he was forced into a tough third set battle against unexpected adversary Tobias Kamke. 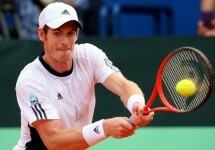 He would eventually win the match 6-3, 6-7(3), 6-3 but it was not without its turbulent moments. 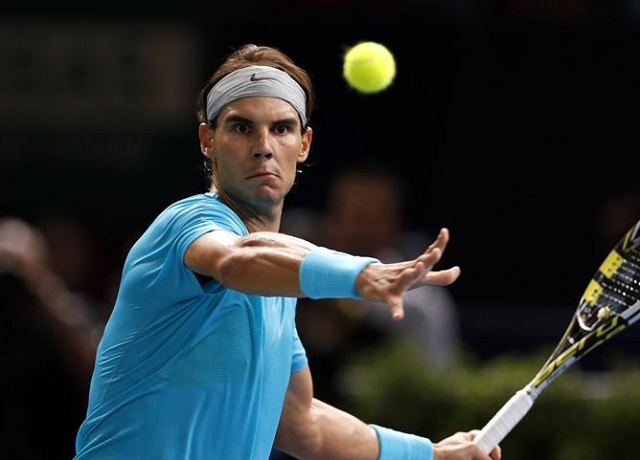 Nadal was nearly sent into a third set in his first round match against Rosol as well but eventually edged out the win in a close tiebreaker. He is clearly not at his best yet and is still searching for top form ahead of the Australian Open, which he missed last year due to his knee injury. Rafa is fully aware of the task at hand and understands that Gulbis is a tough obstacle in the quarter-final stage. Gulbis had a tough outing in his second round match and was forced to go the distance with Lukasz Kubot, eventually winning 6-2, 4-6, 6-3. The seventh seed beat Daniel Evans in his opening match of the season and is looking to top his previous two quarter-final appearances in Doha when he lost Roger Federer and Rafael Nadal in consecutive years. Gulbis was absent from the Australian Open last season and will be looking to pick up momentum ahead of the Melbourne major. The two athletes have previously met on six different occasions, including the quarter-finals in Doha three years back. Rafa holds a impenetrable 6-0 lead in the head-to-head and will likely manage to secure another win tomorrow afternoon. It will likely be a long drawn out affair, considering Nadal has only ever defeated Gulbis in straight sets on one occasion. It will be interesting to see if Gulbis will be pounce at the opportunity to attack a slight out of form Nadal and earn his first victory over the world no. 1.